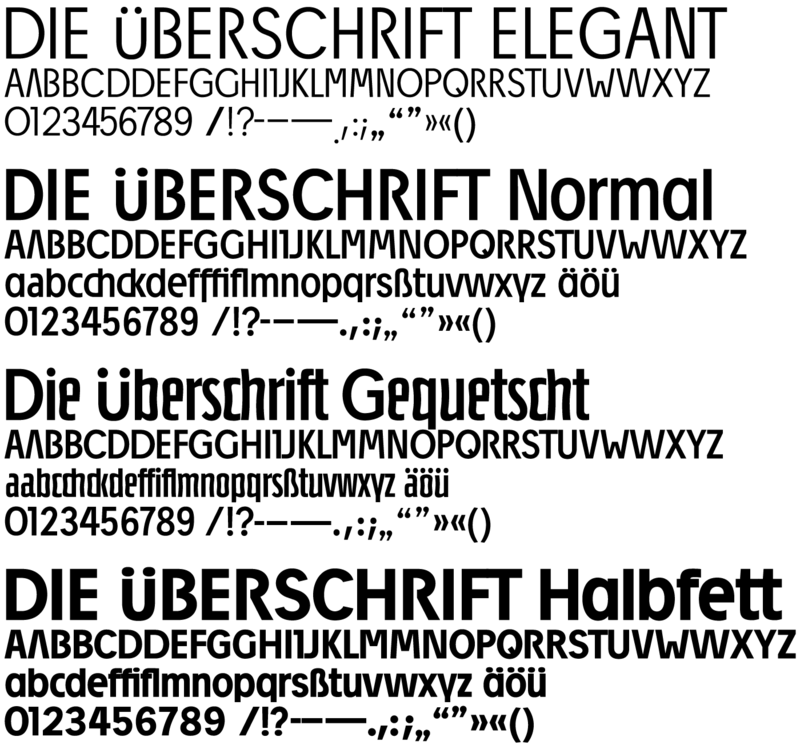 The characters of the DIE üBERSCHRIFT range between the narrow boundaries of cap height and baseline. No ascender or descender breaks through this range. 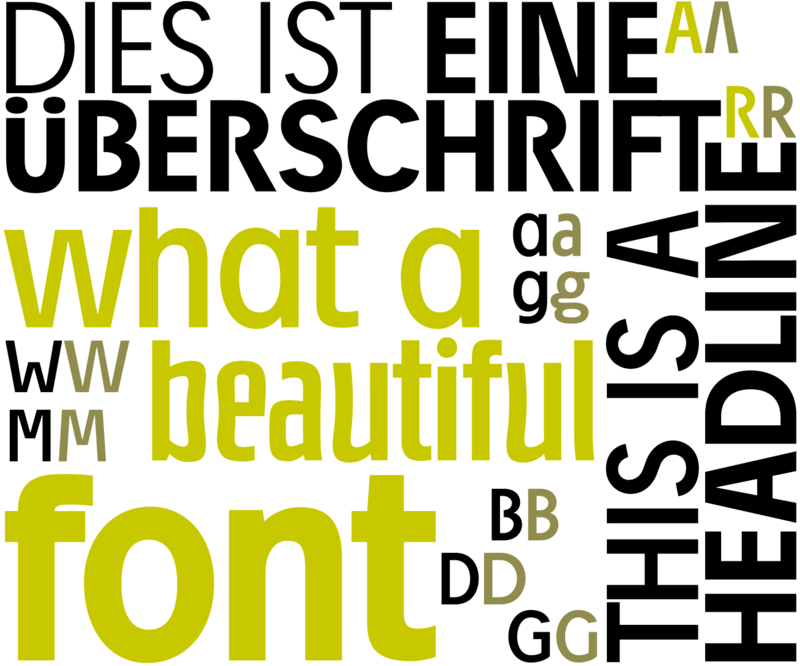 The legibility is ensured particularly by the classic Roman proportions and the greatest possible distinctions in the letterforms.